I'm a big fan of Louis' work and have watched the majority of his documentaries. This was probably the reason I found myself so captivated by this title; Louis revisits a select number of memorable characters in a sort of "Where are they now?" type of quest. He gives a succinct review of each character before describing the re-visitation, so you're not completely lost if you haven't watched his shows (though you really should). Louis also provides very interesting insights in regard to the individuals and cultures he encounters and the occasional character imitations he performs are super adorable, too. I'm disappointed this book was a bit short. However, Louis is an excellent author and reader. He expertly gives each character a unique voice. The stories are facinating, but for adults only. I highly recommend. Like his BBC shows? This is a must-listen! What made the experience of listening to The Call of the Weird the most enjoyable? Louis brutal honesty: The fact a camera forced him and I am sure still does be entertaining. The concern and love he shows those he has met,. What was one of the most memorable moments of The Call of the Weird? Which character – as performed by Louis Theroux – was your favorite? Hmmm. Harold camping or Haley. Like travel books? Want to know how right-wingers can appear? Need a good book for a few saved up bucks? This is the perfect one to buy with cash, not credits because it is priced fairly according to length. As an anthropologist this book reminded me about the field without being academic. Louis is a great reader. Well worth your hard earned bucks. I got this after a recommendation from the TWIT podcast. In short it was an interesting look at some very fringe segments of society. At times it was entertaining and just plain odd. However, the book failed to give me any special insight into the minds of the people that Mr. Theroux interviewed. Perhaps it is a statement of the people in the book, or the emotional shields that people on the fringe exude. But above all, I felt as if I was at the local country fair, just trying to find the oddest person ... and not being able to make up my mind which one was indeed, the weirdest. Yeah, really brilliant book. ties in well with his shows and wonderful to have it read by the man himself. 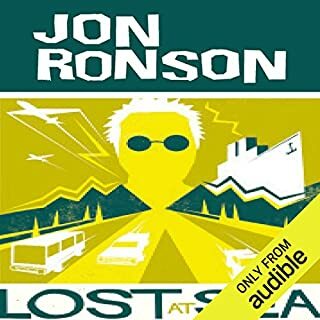 Was a good listen. 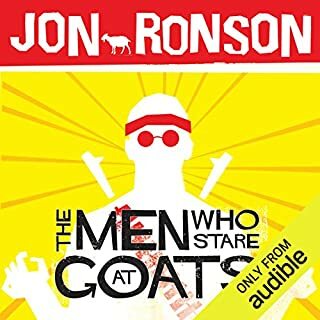 I really enjoyed this audio book, and found it mostly interesting and amusing. However, Theroux's insistence on attempting American accents is a huge mistake. The various accents are laughably bad at times; unbearable otherwise. All in all, worth a listen, but only if you're able to withstand Idaho Neo Nazis sounding like southern drag queens. This download, superbly and personally narrated by Louis, is HIGHLY recommended. 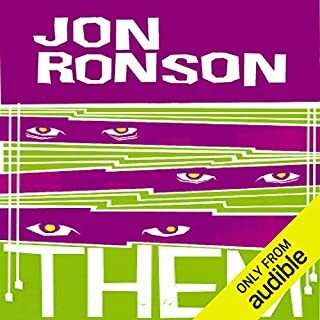 This book only loses a star rating because it's abridged, but I think that it's a fantastic listen and complements Theroux's earlier documentaries. I particularly enjoyed the odder elements of the text. Theroux really performs the book throughout and his different American accents are a pleasure to listen to. Would you listen to The Call of the Weird again? Why? The book rounds up and more or less concludes the random 'weird' people Louis has met whilst recording his documentary with additional side stories throughout! What about Louis Theroux’s performance did you like? Louis accents are performed well and are not cheesey, luckily as I had doubts. It's not a book you need to sit and listen to in one go as the stories are seperate and each to their own. Like the episodes. They are not related other than Louis is documenting their activists and asking them about what they do and why. If you're a fan of the shows then the book is worth while. If you've never seen the shows, either go watch them, or don't but this as you will have absolutely no idea who he is referring to. Even if you had heard of a few of the characters you'd need to have seen the show to fully appreciate the follow on, which is, this book. This book does not disappoint!! It's everything you could possibly want from a Louis Theroux book. PLUS, it's read by the wonderful man himself!! 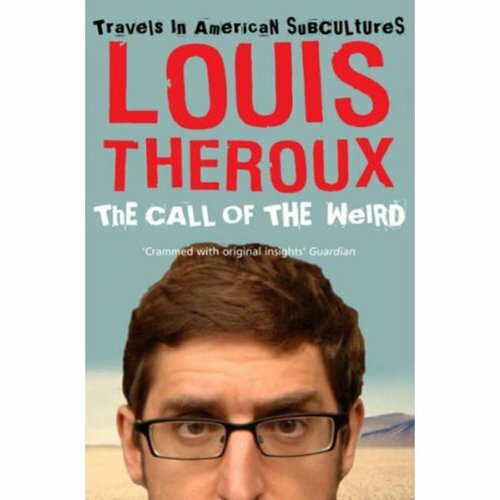 Louis Theroux goes back to finish what he started, interviews with the weird and wonderful peoples of America. Fans of Theroux will like the nostalgia of the old characters from his programme, whilst the delivery is humorous. Not that long of a read so good for those in a hurry! Watched all his documentaries which helps understand the book better. I would like to hear another book of his. I only recently got into Louis Theroux’s work in the last few weeks and I’ve binged a lot. Like, everything I’ve had access to have been watched and rewatched several times at this point. 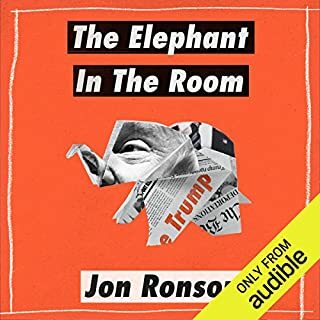 Because of his soothing, calming voice I decided to check Audible to see if he had narrated anything and was pleased to discover that not only did he narrate a book, but it was his own book. I thoroughly enjoyed this little reunion journey he took us on. Because I’m so new to his documentaries, I’ve only recently ‘met’ most of the people he reunited with, so it was fun to see the differences in the people, and in Theroux’s thoughts about them. The book is more about his journey into why he is so interested in ‘weird cultures’ rather than the cultures themselves, basically a look back on his work and what he learned and continues to learn. It’s like a continuation of the documentaries, only there’s no camera crew to stand beside him, he’s more vulnerable and I think that gives his thoughts and opinion more strength because this is really just about him, not an audience. a deeper look into louis' mind. a very welcome deeper look into louis' mind for fans of his work. increased my fascination for his eloquent and precise reflections on his experiences and also his doubts which come from a louis that is not protected by his camera crew. 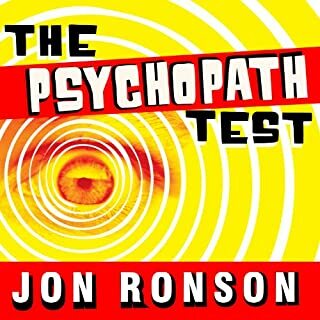 very well narrated despite the voice seeming to change towards the last chapter - binged the book in 2 days. it was great to hear some more personal thoughts from Louis in this auido book. I just wish it was longer! If you have seen a lot of Louis work (and I have) you have to sit through him setting up every anecdote through a re-telling of the stories in his documentaries. In these sections, it seems like he is retelling it based on what details ended up on screen, and adding little in the way of new information or insights. As such, its a bit light on 'new' details for the avid fan. There were a few updates on past characters that changed my views on the original tv documentaries. The least interesting part was (again) the amount of pages dedicated to explaining the TV series original material, which felt redundant. He is a likeable guy, but this telling lacked a little of the humour that he is known for in his interviews - i think he is at his best when he is reacting to scenarios, rather than just writing alone for a reader. Could you see The Call of the Weird being made into a movie or a TV series? Who would the stars be? This book is only for big fans, and even then its a tad lackluster. I dont say this easily - I'm a tragic fan of Louis work, but I struggled to keep paying attention through this one. What did you like most about The Call of the Weird? What other book might you compare The Call of the Weird to, and why? What does Louis Theroux bring to the story that you wouldn’t experience if you had only read the book? loved louis doing the voices. funny, thought provoking, chilling at times - truth is stranger than fiction!